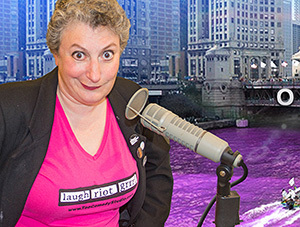 Co-founder of the Chicago Coalition Against War & Racism and the Gay Liberation Network (www.GayLiberation.net), a Chicago-based LGBT direct action group which has been at the forefront of gay rights, anti-police brutality and anti-war organizing. He’s been one of the lead organizers of most of the city’s large anti-war protests for the last several years, including a march of 15,000 on Lake Shore Drive at the start of the U.S. invasion of Iraq. He’s been arrested numerous times in various protests and was recently found not guilty of two felony counts from a January 2008 protest against a Chicago visit by then-President George W. Bush. In May he was among a handful of Western LGBT activists arrested along with dozens of Russians activists at a government-banned gay pride demonstration in Moscow, Russia. He currently is among the activists organizing a march on the Obama 2012 National Campaign Headquarters in Chicago on the 10th anniversary of America’s longest-ever war, the Afghanistan War. He and other activists are also helping organize the huge protests that will confront the May 2012 NATO/G8 meetings in Chicago.